The stress of daily life can consume all of our energy leaving us feeling exhausted and overwhelmed. Essential oils can help relieve stress and increase your peace, calm and energy. 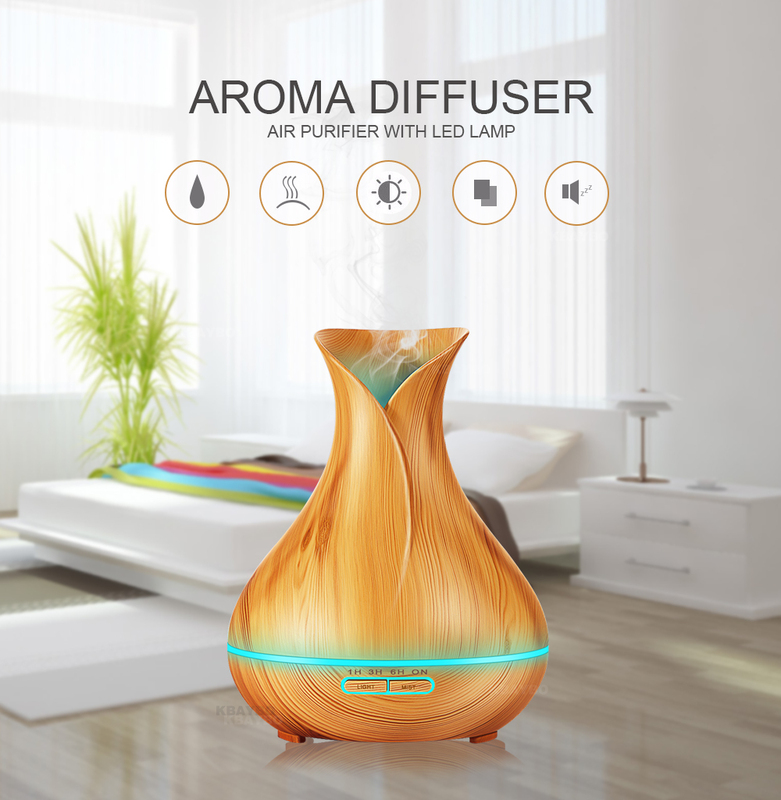 Using a humidifier is an easy way to disperse essential oils so that their scent can fill a room with the oil's natural fragrance. 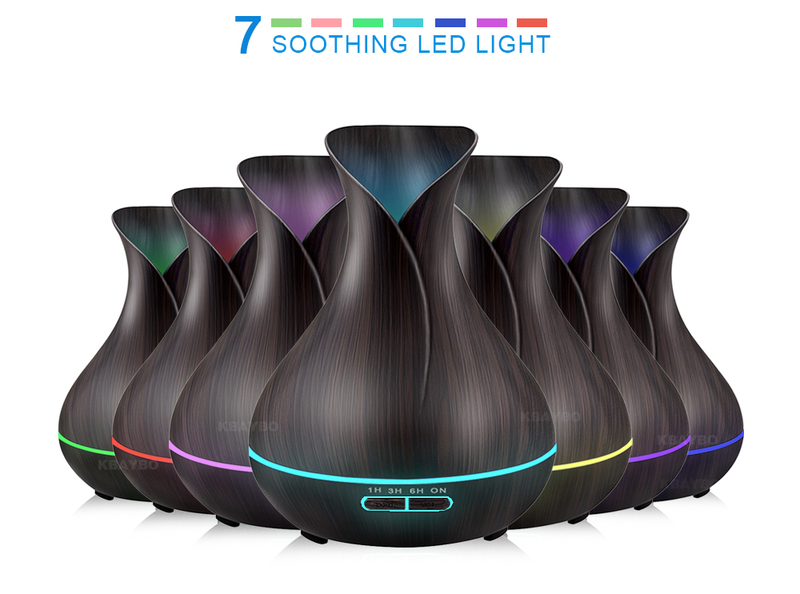 Here are 8 reasons you should use Essential oil humidifiers in your home. 1. 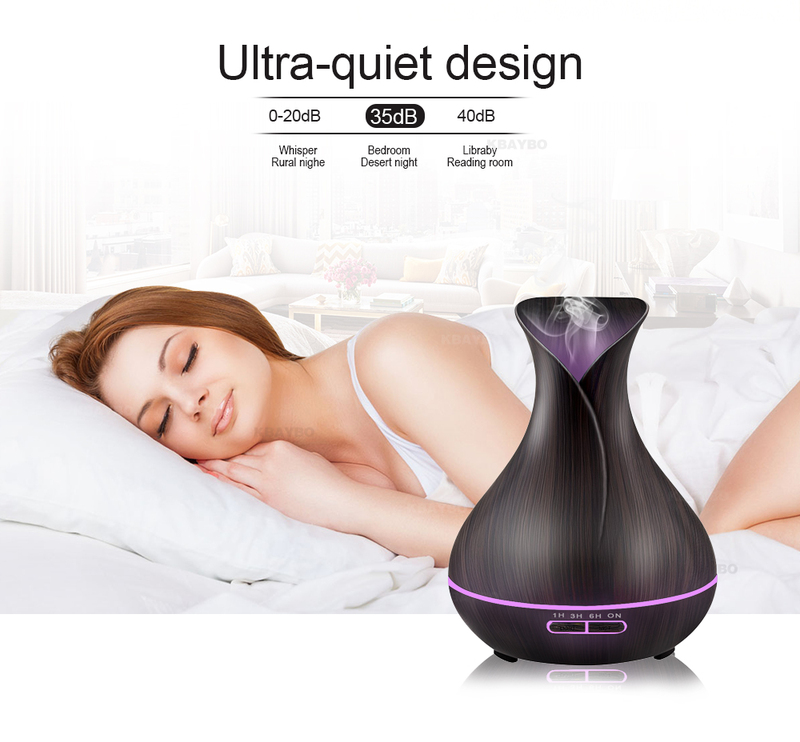 Helps Sleep Better: Diffusing essential oils creates a peaceful sleep, and the mist produces a long-lasting effect to help you to continue to sleep through the night. 2. Stress Reliever: Some oils that are recommended to promote calm and ease anxiety are bergamot, chamomile, rose, and frankincense. 3. Ward Off Illness: Essential oils have powerful antimicrobials that can help kill germs lurking in your home. 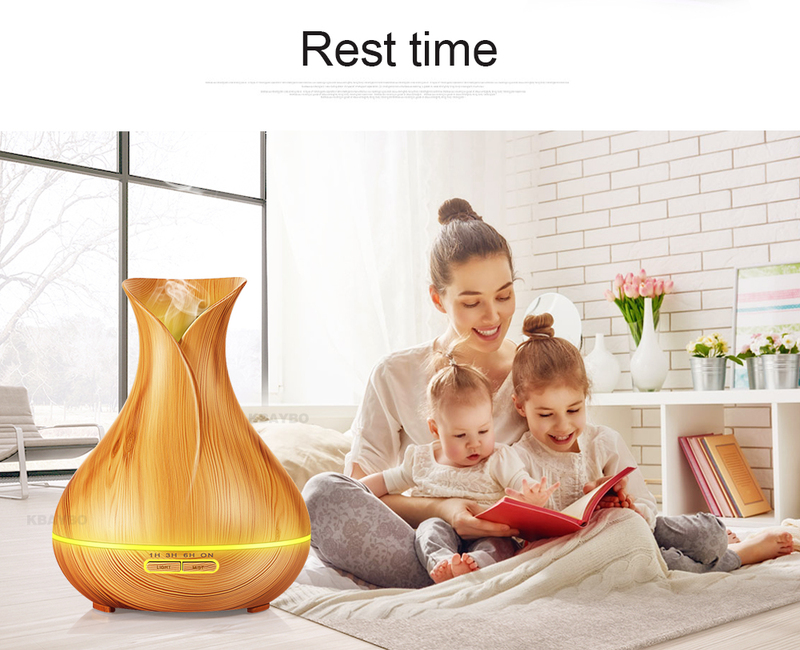 By diffusing the oils into the air, you can kill off airborne germs before you become ill. The oils can also help boost your immunity, reducing the likelihood of a cold or flu. Oregano-oil can help prevent flu, peppermint can ward off a cough or cold and lemon helps prevent or reduce the severity of viruses. 4. 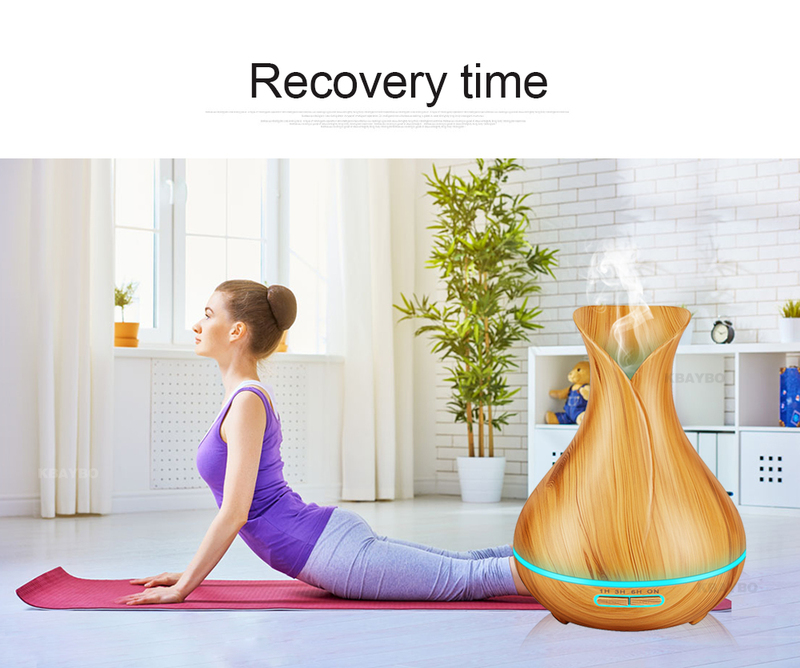 Pain Relief: While most people will tell you to apply essential oils directly to the body for pain relief, you can also use humidifiers to extend their effects. This method is an excellent way to combat persistent pain such as that caused by headaches, sore joints, and overworked muscles. 5. Repel Insects: Flies, mosquitoes and other household pests have a knack for finding ways into your house. Make your home inhospitable to these pesky critters with your essential oil humidifiers. 6. 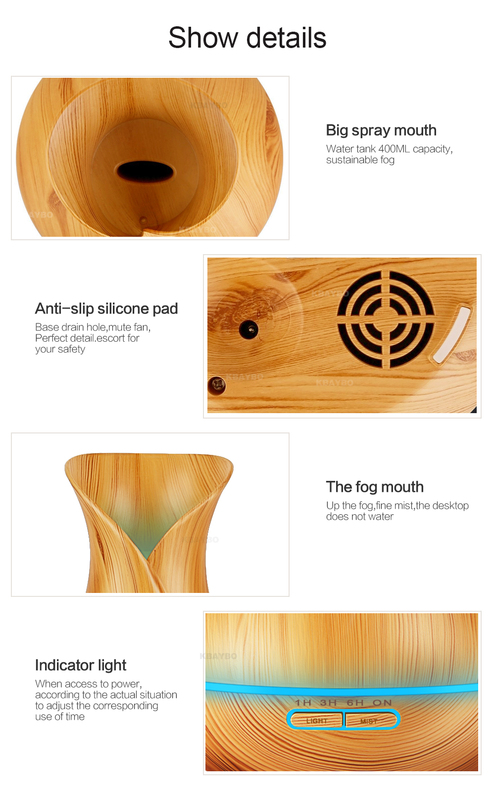 Humidifies the Air: Aroma diffusers atomize the water and the essential oil so that the air is immediately humidified. 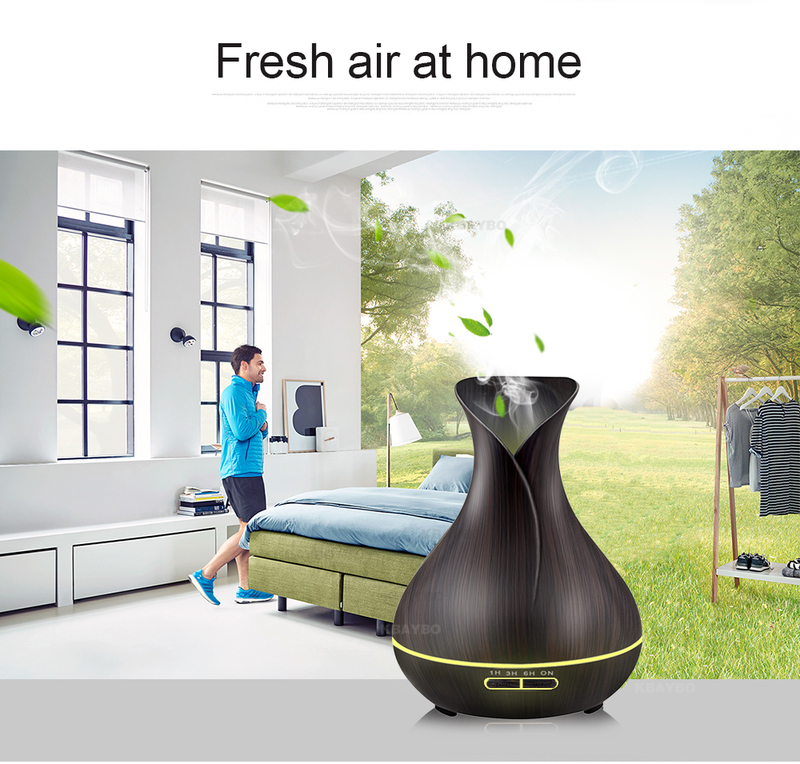 This is ideal since dry air is linked to several respiratory tract issues, as well as irritated mucous membranes and dry skin. 7. Freshen Up the Air: Unlike most air freshening sprays and plug-ins, essential oils do not put harmful chemicals in the air. They also lack the cloying and irritating scents that many store-bought fresheners have. 8. Safe alternative to candles and incense: Many scented candles have chemicals, such as toluene and benzene, which can cause damage to the brain, lung and central nervous system. High-quality candles without toxic chemicals can be quite costly. There is also the possibility of fire hazard when burning candles or incense. 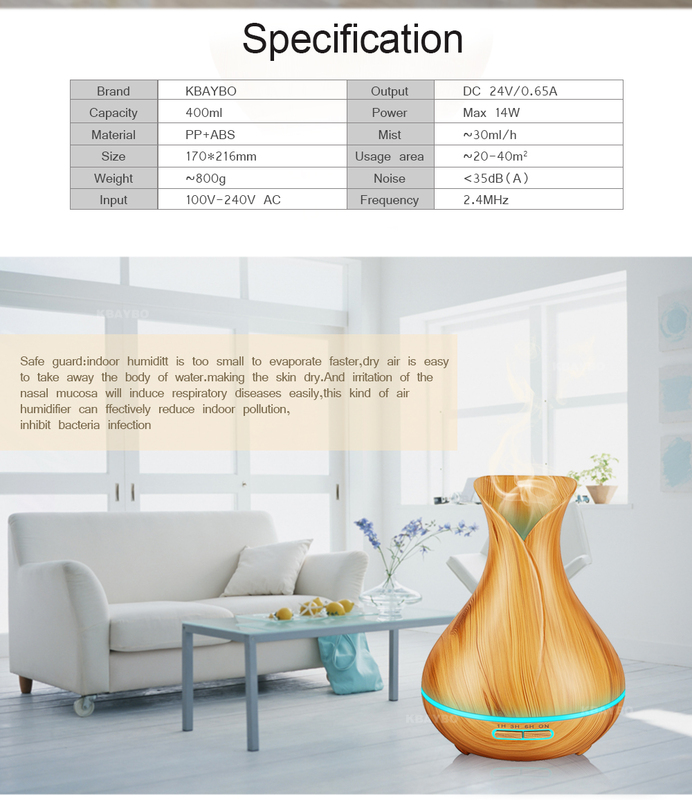 A humidifier is a perfect way to scent your home without posing a health or fire risk. 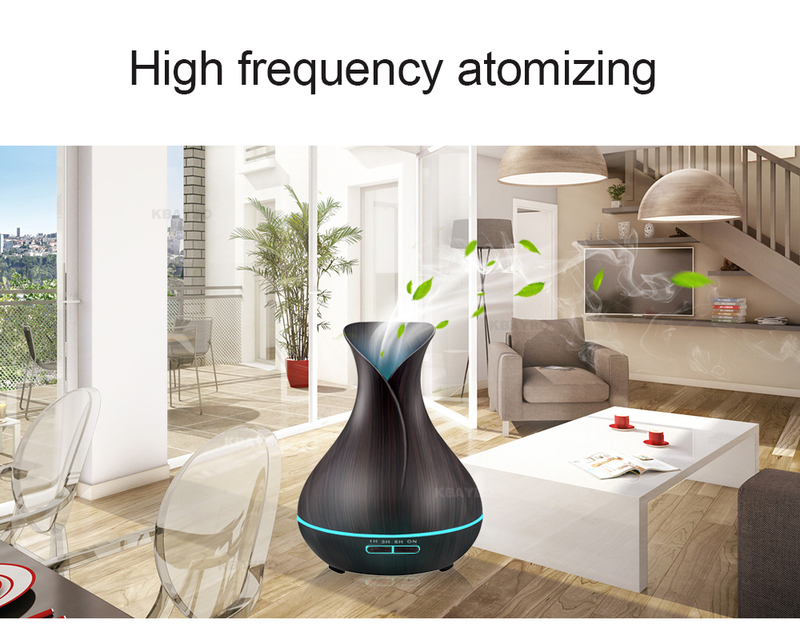 Large 400ml water tank capacity makes this diffuser run up to 14 hours in low mist mode continuously, providing longer fragrance, a cover area up to 269-323sq.ft. 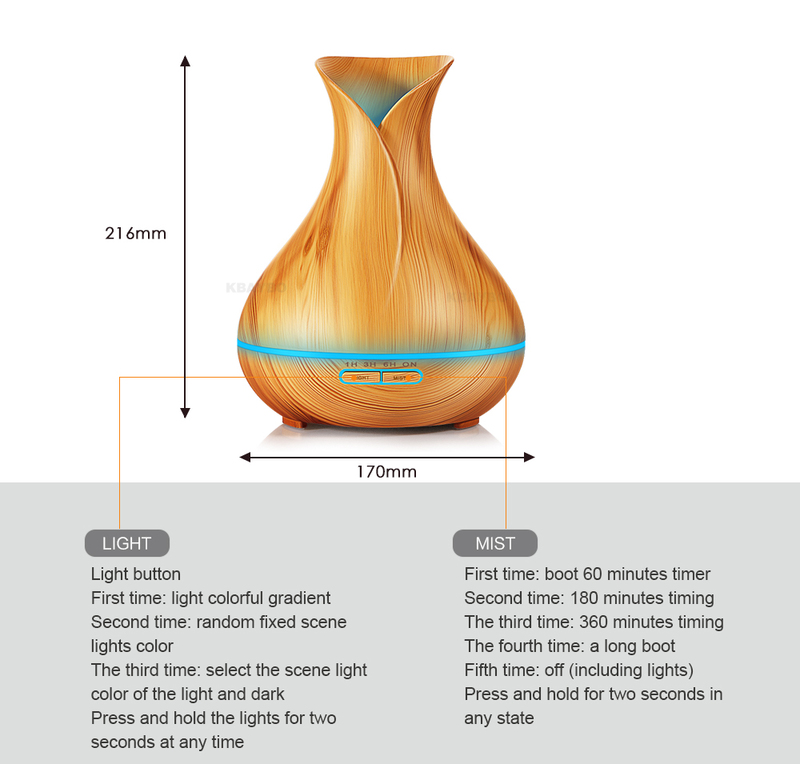 The aromatherapy essential oil diffuser features super modern wood grain, like a decorative piece. 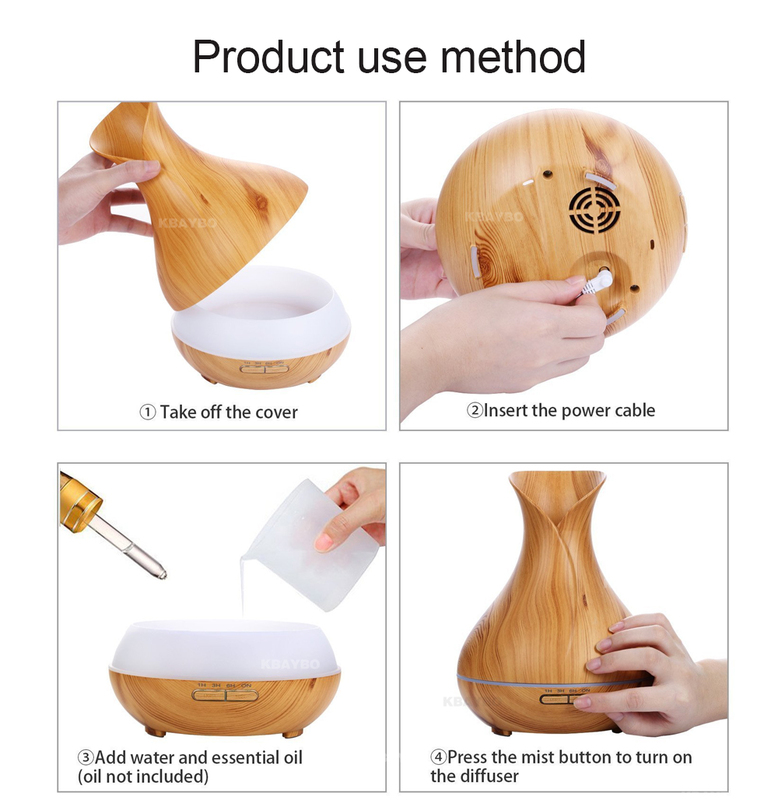 It is a good choice to use this lovely diffuser as gifts to your friends and families, lovers. Backed by 60 days money-back and 12-month worry-free warranty. comes with a full 60 Day 100% Money Back Guarantee. 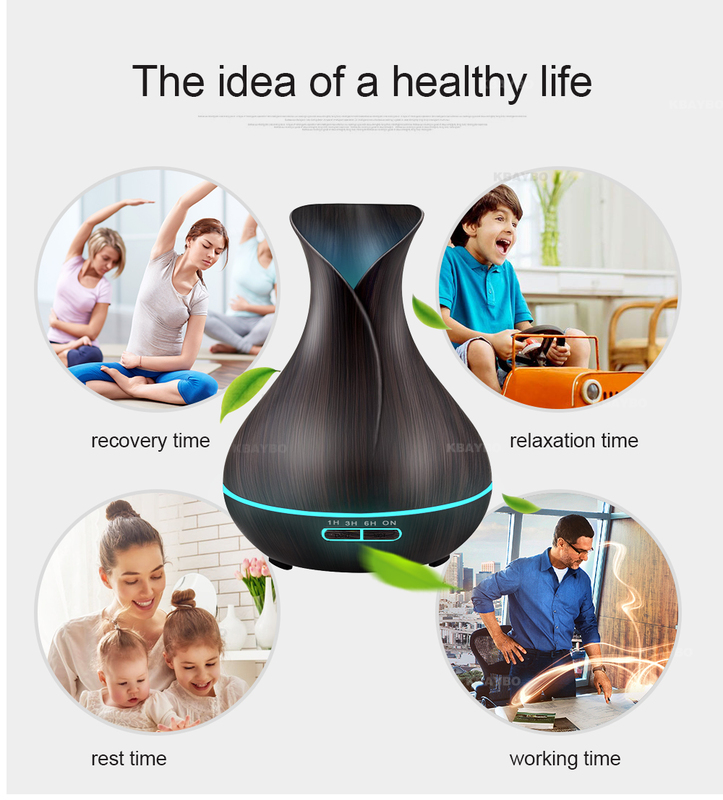 The best diffuser I ever seen,high quality product!!!! Produto muito bom! Ótima qualidade! E faz tudo que está descrito. Valeu muito a pena. Tiene gran capacidad y el agua dura muchísimos días. El tamaño es ideal para una mesilla. Gran acierto que el aroma se pueda echar en esencia y no con algodones. La Luz se puede poner fija o variable y se puede programar. Muy satisfecha! 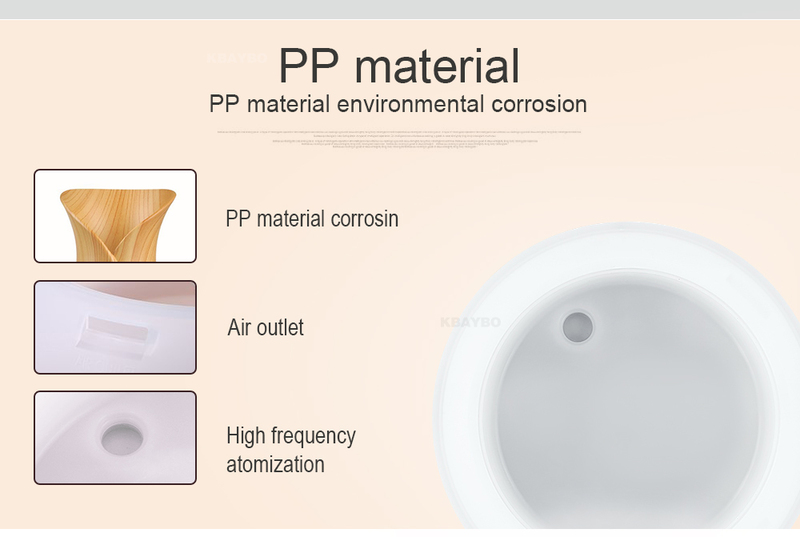 Descripción correcta del producto y rápida recepción. excelente calidad y diseño! precio justo para su calidad! Muito bom, chegou rápido e funciona super bem, recomendo!!!! Diffuser I ordered 19.6. from Spain. He came in 7 days. The courier gave it to me. I am very satisfied. The remote control is super, the diffuser meets all my requirements. 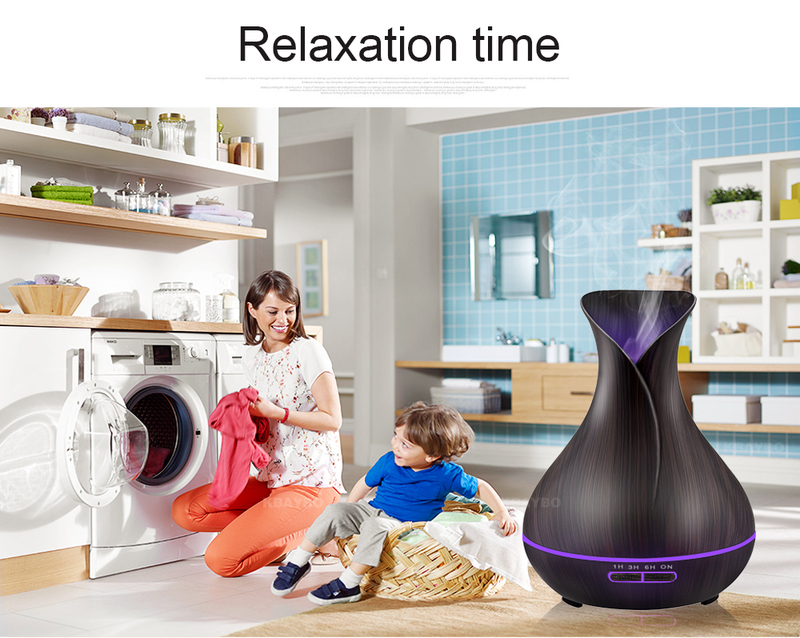 I certainly recommend to everyone especially for humidification, but also for prevention of worse breathing. I drank herbal oil and my daughter breathed very well. I recommend the seller and thank you. 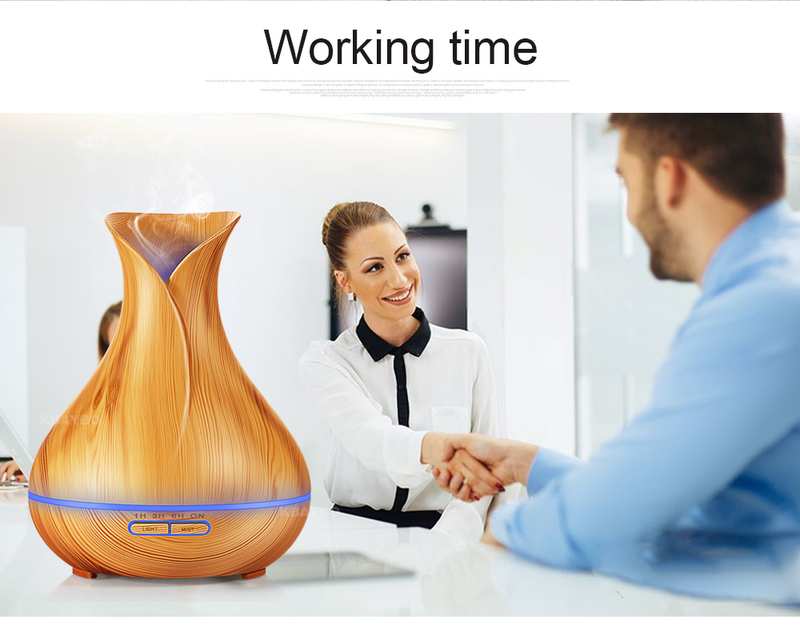 Really fast, only 2 weeks, the product is the one announced. 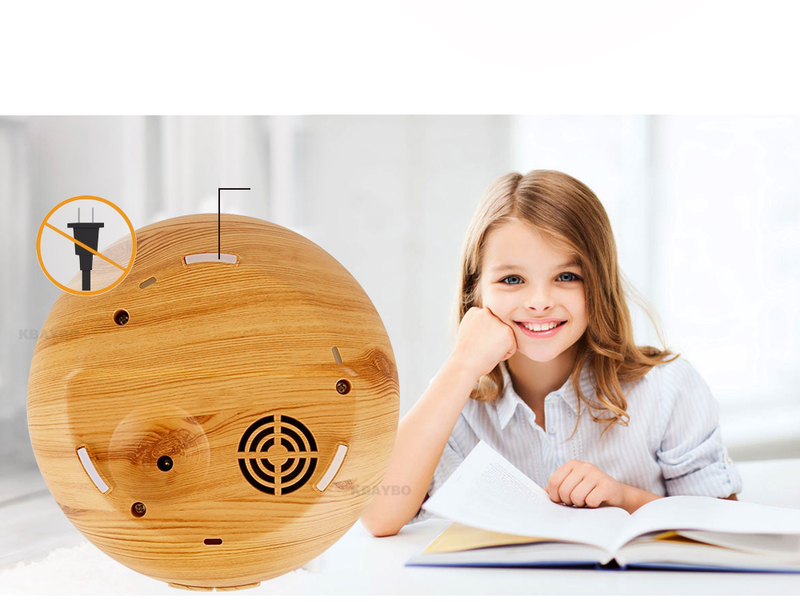 I love this diffusor! It is large capacity, I replenish it two times each day. It works perfectly one month later.